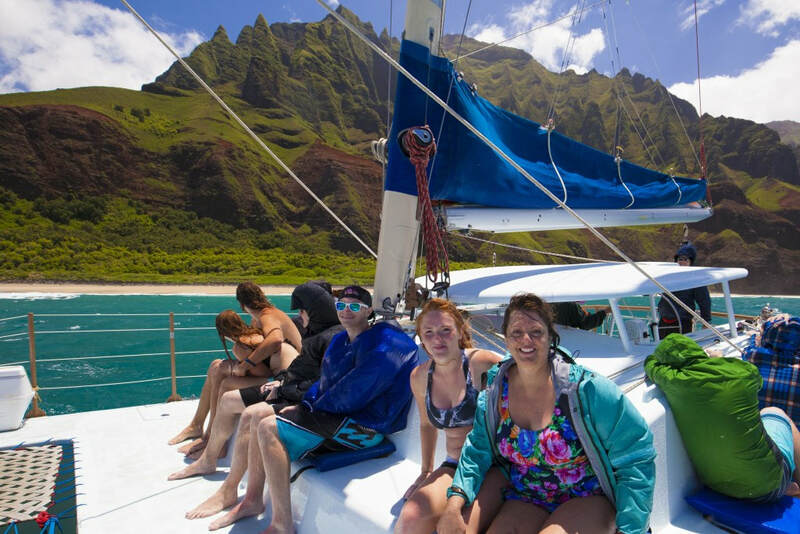 All Winter boat tours may not make it to the Na Pali Coast due to high surf. If this is the case, you will be rerouted to another section of the island for an amazing alternative adventure. The perk is the whales are here during the winter. Too much information online can become very confusing and much of it is incorrect. I have rarely had to cancel tours - even in the winter. If your tour is canceled by the charter company you will either be rescheduled if possible or refunded in full. Tax and port fees are always included in all tour pricing on my website. Gratuity is not included but is always appreciated and customary to tip your captain and crew. includes sightseeing, continental breakfast, bbq lunch, beverages including open bar, swimming and snorkeling.